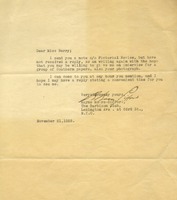 Grace Everett writes to ask Martha Berry when it would be convenient to visit the Berry Schools. 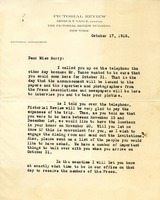 She notes that she will be in Nashville the next week and knows it is last minute for a visit, but thanks Martha Berry for her "cordial and generous response" to her letter. 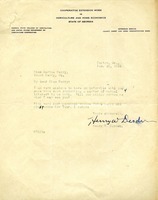 Mr. Derden writes to Martha to get a date that would work to have an interview with her.